Posted by Carolyn Burns Bass in African-American literature. Throughout the month of February, the United States honors the history and contributions of African-Americans. LitChat is pleased to open this month with a week devoted to African-American literature. Joining us as moderator throughout the week is Carleen Brice, author of the critically acclaimed novels Orange Mint and Honey and Children of the Waters. Orange Mint and Honey was adapted into a Lifetime Original Movie and titled Sins of the Mothers and aired in 2010. In addition to fiction, Brice also wrote Lead Me Home: An African American’s Guide Through the Grief Journey (HarperCollins), and edited the anthology Age Ain’t Nothing but a Number: Black Women Explore Midlife (Beacon Press, Souvenir Press). Her book Walk Tall: Affirmations for People of Color sold over 100,000 copies and was in print with traditional publishers for 10 years. It is now available from iUniverse. 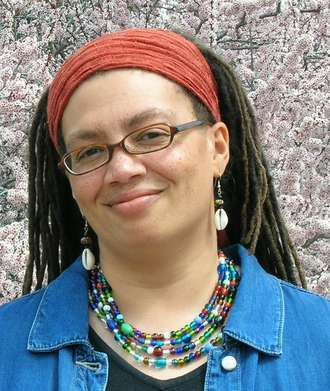 In 2008, Brice won the Breakout Author of the Year Award from the African American Literary Awards Show and in 2009 she received the First Novel Award from the Black Caucus of the American Library Association. She was a finalist for the 2009 Colorado Book Award in literary fiction, and is a two-time finalist for the Colorado Book Award in nonfiction (for Lead Me Home and Age Ain’t Nothing but a Number). She lives in Colorado with her husband where she gardens and works on her third novel, Calling Every Good Wish Home. Follow Carleen Brice on Twitter at: @CarleenBrice. I would luv to read Lead Me Home: and Ange Ain’t Nothing but a Number. I have written both books down on my list. Enjoyed reading the above article.